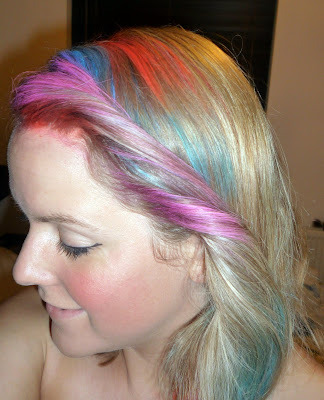 Hair Advice (+ all things nice) | UK Hair Blog: Can a temp colour be Xtreme? Can a temp colour be Xtreme? Temp colours are a fantastic way to try out a fun, new look without a. the commitment, b. the risk of causing major damage to your hair, and c. spending a fortune! But are they any good? 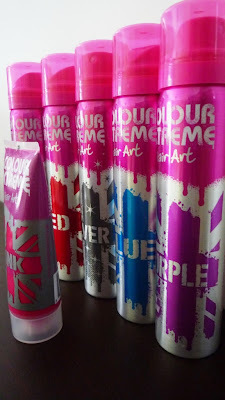 Colour Xtreme (part of the Lee Stafford hair brand) is a range of spray on colour, in a variety of shades. 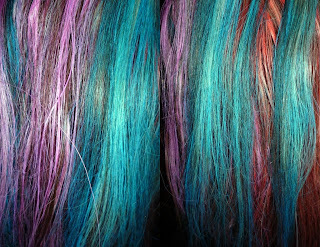 All amazingly bright and wash in, wash out, they are an easy way to alter your hair in an instant. Rainbow hair has become something of a trend lately, with even Lauren Conrad tipping her ends for a grungy, colourful look. As you all know I have Blonde hair, highlighted earlier this year. 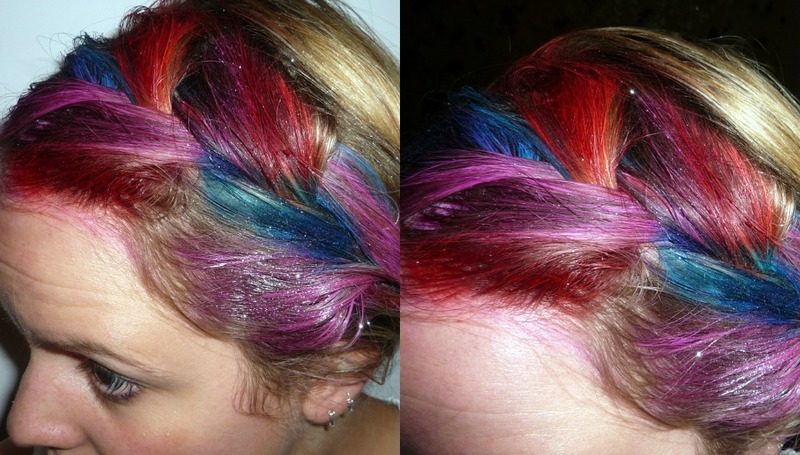 I took inspiration from Jessie J's recent colour flash at the front of her hair and got spraying, firstly plaiting the front, then twisting, and finally brushing through for a softer look. What do you think? Which one is your favourite? I got the giggles in the twist picture - no idea why! I love these sprays, they are so easy to use, and whilst they do dry the hair, adding some shine spray once finished spraying would give you the gloss back. After you wash the colour out there is no sign of damage, or residue left behind, I would however recommend using an intensive conditioner to combat the drying element of the sprays. Also, they are very messy, use a towel and get spraying in your bathroom. The Silver spray is more of a glitter than colour, and I must admit this gave quite a bit of sparkle when I sprayed my plaits. I wouldn't recommend using these long term if you wanted a brighter colour on your hair, but they are great for using as a one off, for parties, or just a bit of a change. 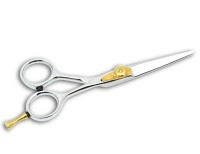 They even work on dark hair, so it's not just blondes who'll have more fun with these. I tried the sprays on a dark wig and the colours whilst not so bright, definitely stood out. 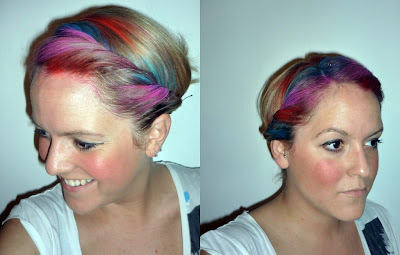 I sprayed my Halo Hair extensions (which unfortunately don't match my hair anymore - they are dark Brown &amp; Blonde) and even managed a rainbow fishtail plait, which I think looks really pretty. Has anyone else tried them? Do you think you'd give it a go - if so what colour takes your fancy? 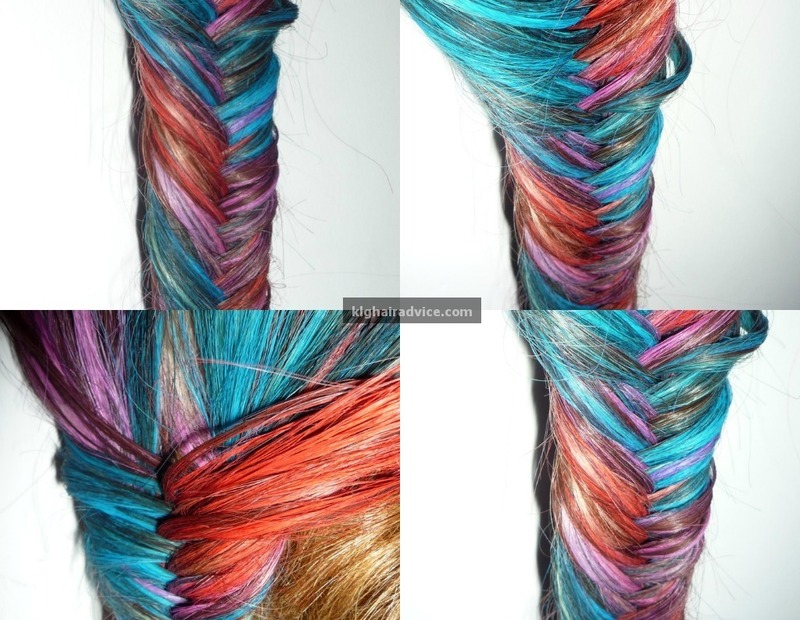 I LOVE how they look in the fishtail plait, so beautiful! The bright blue is gorgeous. Might have to but a can since I'm giving my hair a rest from bleaching! Wow - do they look good or what?! 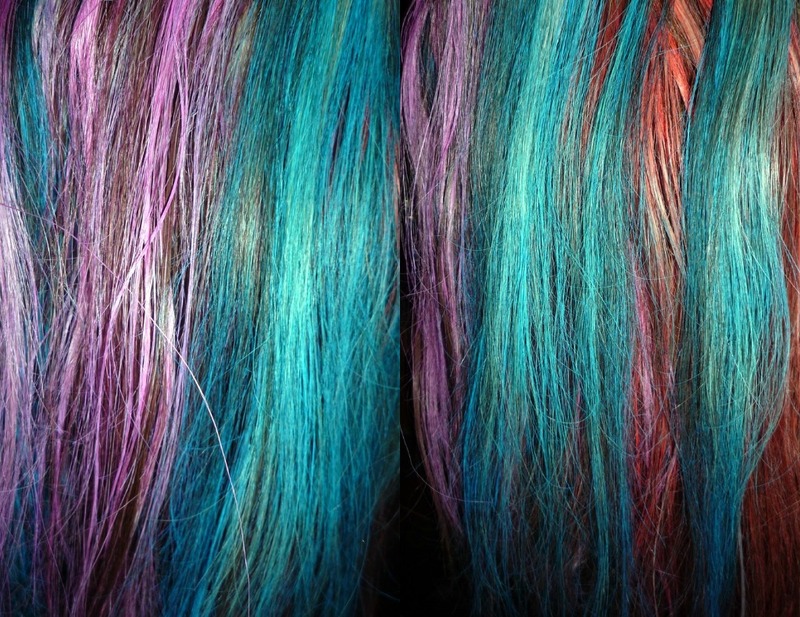 I have a sudden urge for rainbow hair! Ooh! I love them, esp in the fishtail plait. Shame there isn't a green one though - green and blue together would look fab.